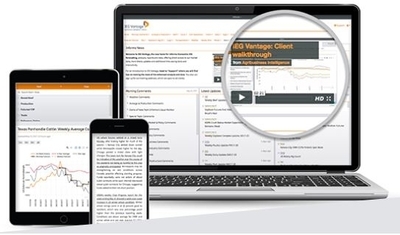 IEG Vantage provides energy and weather related services to food and agricultural related organizations, and in addition to providing market information and analysis, advises companies on a wide range of issues with direct impact on profitability. IEG Vantage employs a variety of analytic methods in order to meet client objectives and add value to client organizations. Our world-renowned experts leverage Informa Agribusiness intelligence’s global network to deliver the information you need to adapt and succeed in an evolving environment.